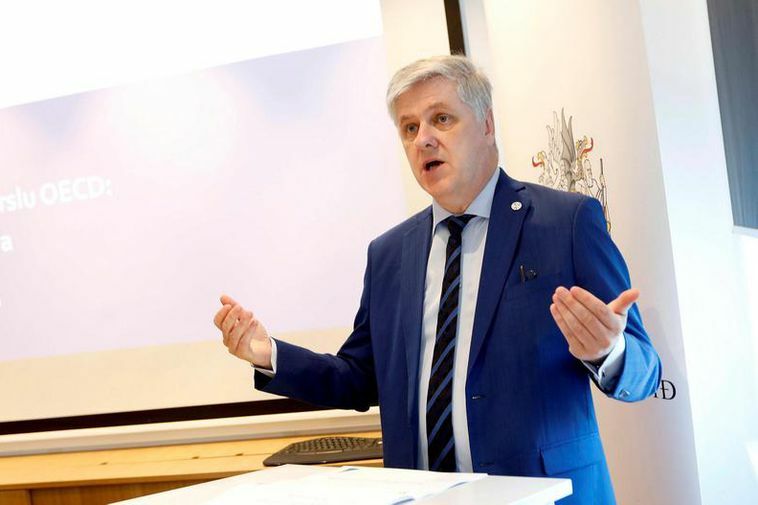 Leader of the Reform Party, Benedikt Jóhannesson says that the fact that Prime Minister Benediktsson was told of his father's involvement in the restoration of honour of one of Iceland's most notorious pedophiles was abnormal. If the matter had been a confidential one to everyone it would have been more natural. The Reform Party is the third party of the coaliton which was formed also by the Independence Party and Bright Future. Speaking to mbl.is this morning from Akureyri, Jóhannesson says that last night's turn in events came as a surprise. He respects the decision made by Bright Future but does not feel that there was a breach of trust within the government. He adds that the case behind the government collapsing is so disturbing that it was hard to imagine, one and a half months later, what should have been the right thing to do. He adds that it was unnatural that PM Benediktsson was the only one informed. The situation is a disappointment he says. "I didn't expect this to happen now." Jóhannesson says that he respects Bright Future's decision. Asked whether he understands their decision he replied, " Its difficult to put myself in their shoes, and I'm sad that this happened because I have enjoyed our cooperation. I have been happy in this government although people haven't agreed on all issues."